Hey there, my name is Kurtis Smith, an automotive sales and management trainer, as well as an extremely passionate kindred spirit that loves helping others reach their full potential. I am not a guru or interested in being one, however, I am out spoken about car sales / automotive sales people taking full charge of their own personal and professional training and development. I am vocal about the development and implementation of sales training standards as well as continuing education as a strategy to reduce the extremely high turnover rate of automotive salespeople. My message to automotive sales and management professionals is this: It is important to your success that you understand the fact that you are in business for yourself just not by yourself. The acceptance of this fact is the key to taking advantage of this podcast and all of the content, services and resources that it provides. The goal of the AskKurtis Podcast is to serve as a medium where I and my fellow subject matter experts can answer the questions that car sales/automotive sales professionals have about how to build, maintain and manage a profitable sales practice. 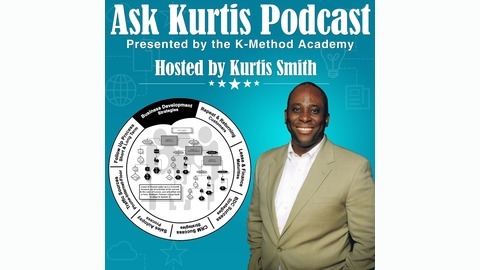 The podcast is an extension of the K-Method Academy, which is the official learning center that offers formal and structured training for individuals in both variable and fixed operations to address sales training, skill development, process development as well as improvement and so much more! 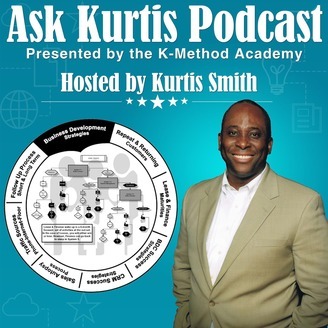 My reasons for developing the AskKurtis podcast stems from my experience as a trainer, coach and consultant and my observation of a need to provide automotive salespeople with solid process based training strategies that anyone can access, learn and implement, but more importantly to provide feedback to the questions they have in near real time. AKP003: Importance of Connecting the Dots! Automotive Sales Training –AKP003: Importance of Connecting the Dots! In this Episode Kurtis Discusses the importance of connecting the dots between what your salespeople know, and what specifically they are being asked to do! He outlines why most strategies like CRM and BDC fail to meet expectation because what salespeople know, and what they are asked or expected to do, are two different things. Then Kurtis discusses how to Connect the Dots! AKP002: Why Kurtis’s approach to training is so effective!